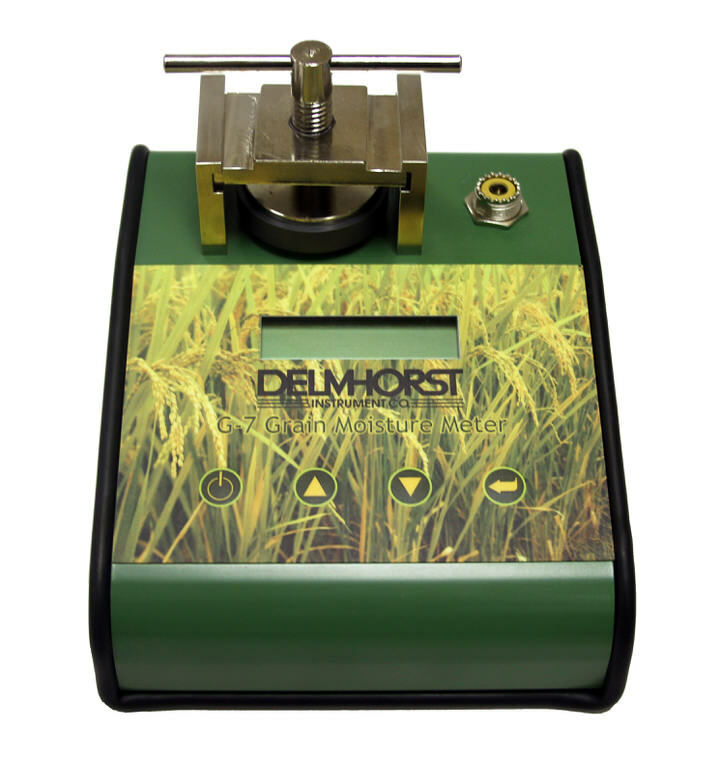 Whether you're looking for a handheld moisture meter, or are testing at the dryer or lab, Delmhorst has a grain moisture meter to meet your needs. Proper monitoring and control of moisture at harvest time and in storage reduces the risks of spoilage, moisture shrinkage, and excess drying costs to ensure you produce the highest quality grain. Precision farming requires precision moisture testing. The G-7 is a rugged resistance-type meter, great for testing the moisture content of grain at harvest time and while in storage.